Matthew Kadey loves muffins. So much so that he’s devoted an entire food blog to the topic: Muffin Tin Mania. There, he provides flavorful and healthy recipes for sweet and savory muffins. 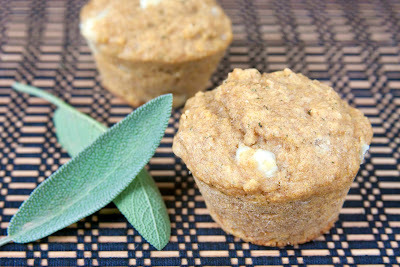 The feta sage muffins featured here fall into the latter camp. (Click here to see the recipe.) “So moist and full of savory deliciousness, it’s really hard to eat just one of these feta-infused muffins,” he writes. Sage provides another flavor. You could use our robust Arbosana or Miller’s blend oils for these savory muffins to add yet another layer of flavor. Kadey, by the way, is a registered dietitian, recipe developer, and magazine writer whose work has appeared in EatingWell and Men’s Health. He’s also a proponent of using a good extra virgin olive oil in baking, noting the quality of the olive oil you use makes a difference.